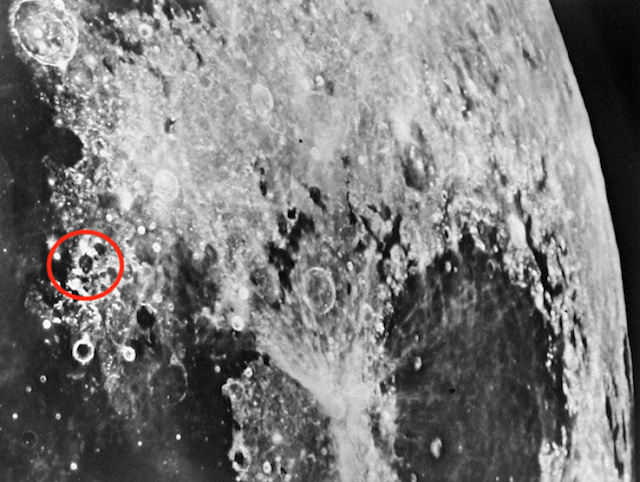 UFO SIGHTINGS DAILY: Black Alien Structure On Moon Inspired By A Turtle, April 1, 2019, UFO Sighting News. 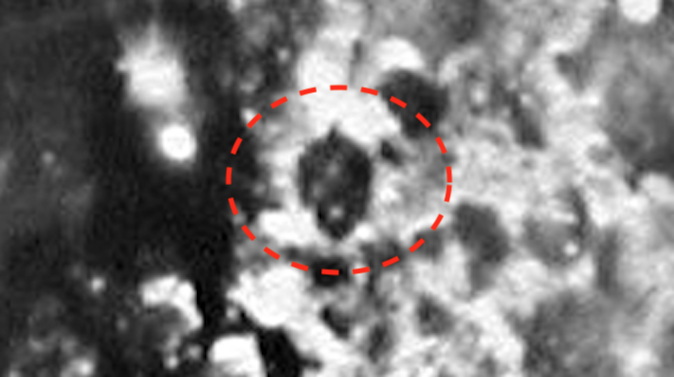 Black Alien Structure On Moon Inspired By A Turtle, April 1, 2019, UFO Sighting News. 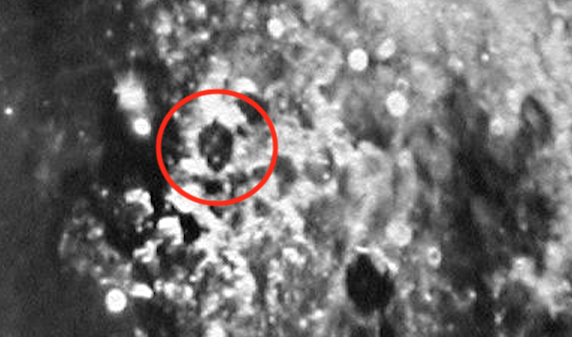 I found this black structure on Earths moon today in a NASA lunar photo. The photo is dated 1965 and was one of the earlier scout craft to survey the moons surface. This building is a simplistic design. Just six large black domes. On main, one medium size front and four small. The design seems to have been inspired by a turtle, because thats what it looks like. As I have said before in other posts over the years, there are three dominate types of buildings found out there. 1. Non reflective black structures...most commonly found and easily blend into the shadows and get ignored. 2. White highly reflective structures. These are nearly impossible to get a decent focused photo, but can still be identified with only about 60% of the structure visible while the other 40% is bright spot and unidentifiable reflection. 3. Grey metallic structures. Most often these are smaller than the above structures and are most commonly seen around the edges of the black structures. How small? Usually about 3% the size of the black structures they sit near. Oh, and often found in nebulas. Other structures I have found. 4. I found many transparent glass like structures, but so reflective difficult to get focused close up. Several were pyramids, not published. 5. I found a 24K gold ship, shaped like a wide coffin and had 4-6 deep grooves cut from front to back. I believe it was a ship not a structure. Never did publish it. Lots of things I find, I just keep to myself. I do this to learn, to teach myself whats out there. And I make posts to share some of them.